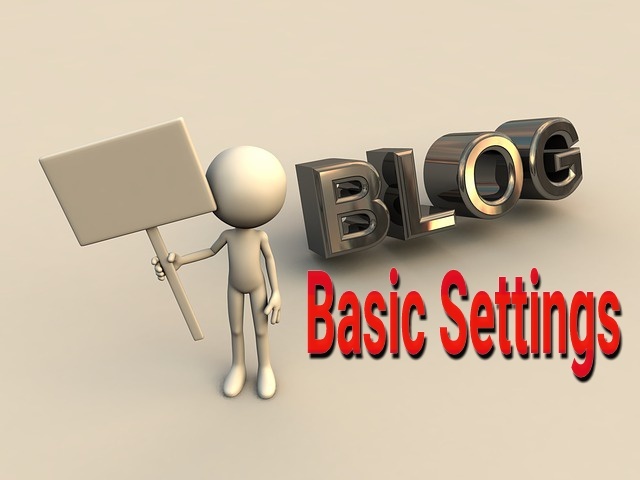 How to Create and Publish A Blog Post on Blogger. 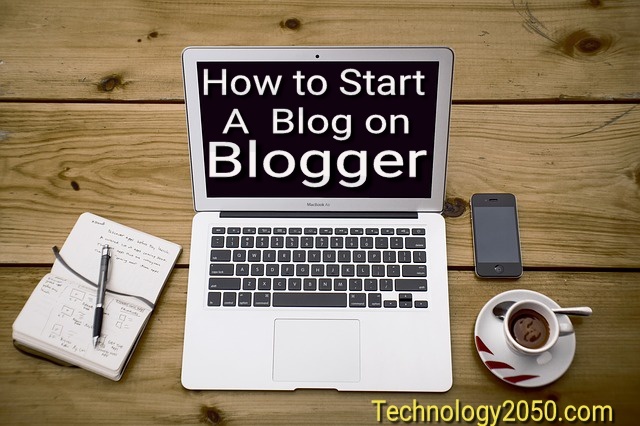 In the earlier post, you learned How To Start A Blog On Blogger of your own using the Blogger. 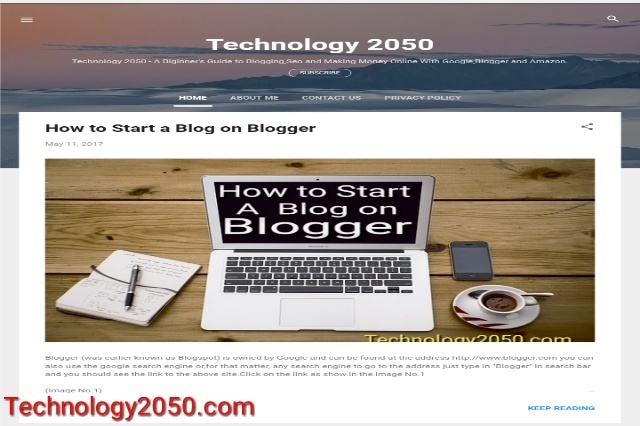 Once you have finished the process of creating the Blog, you are free to start blogging, when you click the "Start Blogging" button on the screen, a new page opens which look likes the image No.1. 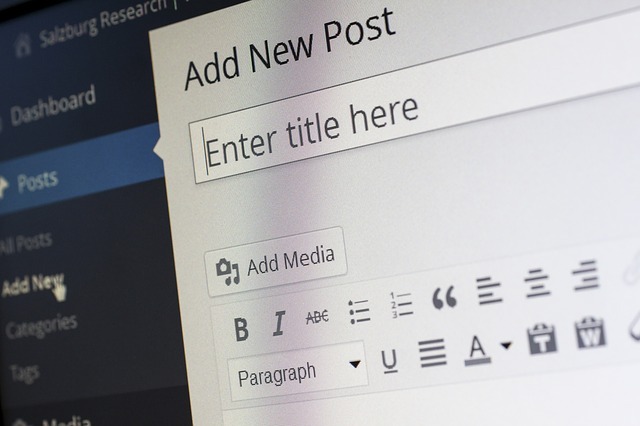 However, if you are returning to your Blog at a later time to post content, then all you need to do is " Sign in" to your Blog and click on the "New Post" link that figures next to your profile on the Dashboard. This is the place where you can unleash all of your creative juices or give vent to your soul by pouring out all that you ever dreamt of writing. Here is the chance that you have been eagerly waiting for, to see your first written words being "published" There are three distinct empty boxes you can see on the screen. The top most being the Title Box, below that is a bigger box, which is also called the Text Editor and will contain the text of your post or article and lastly, the bottom box marked as Labels for the post. 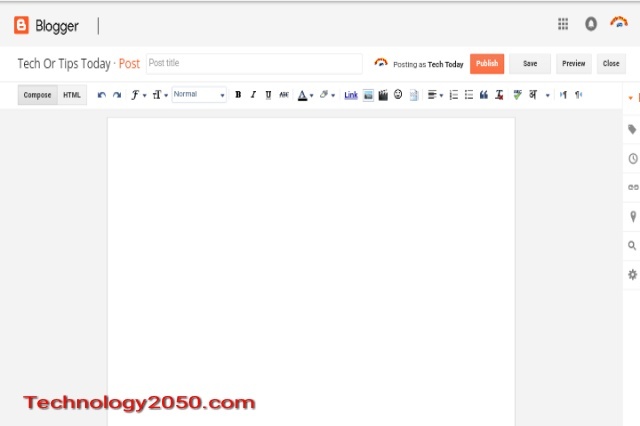 So go ahead and "Create and Publish A Blog Post On Blogger", write the title of your post in the box provided above the text editor. Don't be afraid, as you can edit your work or delete it later at any point of time. It's all in your hands now. YOU are the BOSS. Don't bother about being "right" the first time, as one learns the tricks of the trade through trial and error. While writing, it would benefit you if you keep the "Blogging" Etiquette and Top 10 Blog Post writing tips". However, there is no need to be over-anxious and it would be best if you write freely from your heart. Your main content needs to be written in the Text Editor given below the title box, which has similar features like a word document. Here you can write text and format it the way you want it to appear. You can add links to your post, add images, embed videos or even audio files to illustrate your point and make your Blog much more interesting and colorful to the readers. Some text editors even give the option of writing in a different language like Hindi. You can choose your own language. Once you have finished writing your post to your satisfaction, you need to input some labels in the box provided against the text " Labels for this post". Labels are keywords, which are used to help the search engines find your post, so make sure you input relevant keywords words that are indicative of your text and form the crucial part of your content or the title. Relevant words are those that person would type in the "search engine" to reach your article or post. 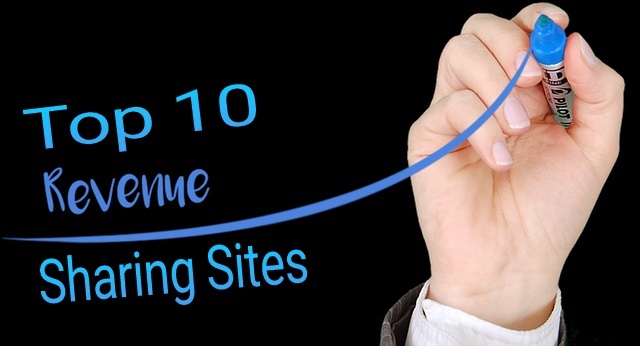 For example, if you are searching for an article on "How to make money online" the relevant search terms you would use are: make money, how to make money, make money online, way to make money, etc. Therefore, think carefully as to which words you would use to search your post. The better the keywords, the easier it becomes for the post to be visible on the internet. There are certain tools available on the internet that help you to select appropriate keywords for your content, and this will be covered in more details in a subsequent chapter.